The whole idea of perfection is pretty hilarious. News flash, people: there’s no such thing as being perfect. Perfection is boring. If you got everything right all the time, you would eliminate one of the central challenges of life, which is to consistently try new approaches to things and to get creative with solutions to problems. Yes, those processes can be frustrating sometimes, but if they suddenly didn’t exist, life would be a lot less interesting. Perfection is too much pressure. Can you imagine how it would feel to be a human if the baseline for everything was being perfect? Who would even get out of bed? We stand to be a lot kinder to each other — and even to ourselves — when everyone is on the same path toward progress. Perfection just doesn’t exist. The only thing truly perfect in this world is ice cream. As the great Salvador Dali once said (how cultured are we? ), “Have no fear of perfection. You’ll never reach it.” A-to the-men. Now that we’ve established that the notion of perfection is kind of lame, we do want to sing the praises of a little something called progress. We may openly LOL at perfection, but that doesn’t mean we’re not interested in effort, improvement, and chasing down our personal best. It’s commitment and baby steps that help us achieve those things. Hello, progress! Progress is important in all aspects of life — on the job, in your relationships, with your health goals, and even on the yoga mat. While we pride ourselves on being a community that doesn’t put a premium on being “good” at yoga, we do want to encourage our fellow bulldoggers to make small improvements to their form over time. 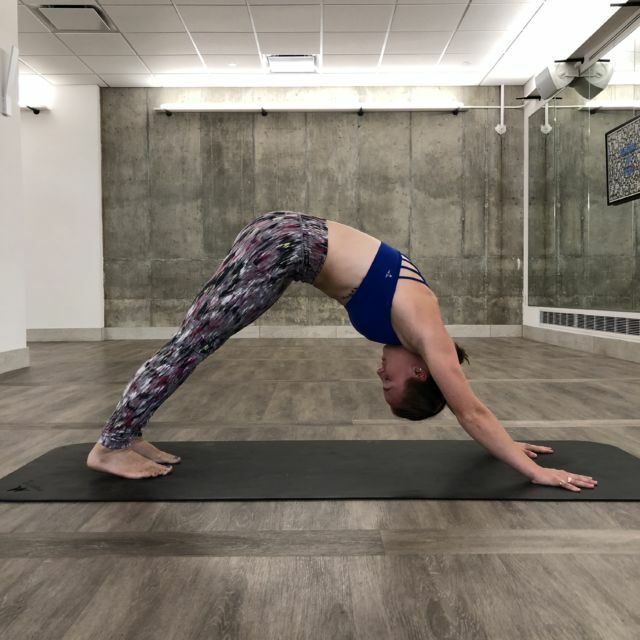 This kind of progress will help you get the most out of every class (whether you’re at the studio in Villanova or Boulder or hanging out with us via our app or online classes) and will ensure that you don’t hurt yourself mid-flow. Plus, if you feel more confident getting into poses, it will be a lot easier for you to let loose with some great dance moves when your favorite song comes up on the playlist. 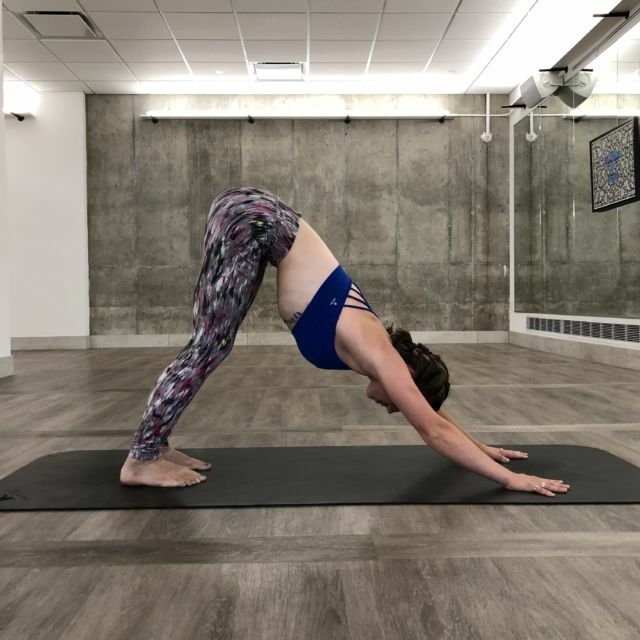 With that in mind, we’ve asked our awesome Boulder leader team to do a quick refresher on four key poses that often need adjustment in their classes. Hopefully, these notes will help you chase progress — definitely not perfection — in your yoga practice. 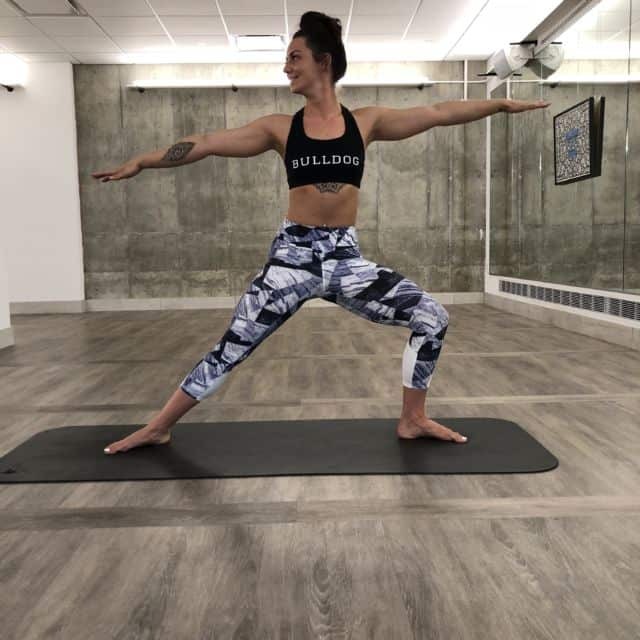 You’re going to spend a lot of time hanging out in down dog in pretty much any yoga class, so it’s important that you feel comfortable and confident in how you do it! People tend to tuck their necks under in this pose, as you can see in the photo on the left, and they can also be pretty resistant to leaning into a deep spinal stretch. Doesn’t that stretch on the right look like it must feel goooood? You can do it! We love — and love to hate — a plank around here. Consider this a friendly reminder to keep that booty lifted next time you’re planking! We see a lot of so-called high planks like the one pictured on the left, but if your hips and core aren’t fully raised in line with your shoulders, you’re not going to reap the benefits of the pose. What you’re going for is a high plank like the one pictured on the right. Keep your shoulders stacked over your hips in your High Lunge. Reach strongly up through your arms. Staying more upright (as you see in the right photo) will help you feel more grounded and balanced. The Warrior poses are all about owning it. Standing up straight and strong. Being the powerhouse that you are. Notice how, in the “correct” version of Warrior 2 on the right, the back foot is turned perpendicular to the front and the arms are held out straight from both sides. These adjustments will help you stand tough for that much longer. Which poses do you find most challenging? Tell us on Facebook + Twitter!